Where to Eat Lahmacun in Istanbul? Lahmacun is composed of two Arabic origin words that mean “meat” and “kneaded dough”. 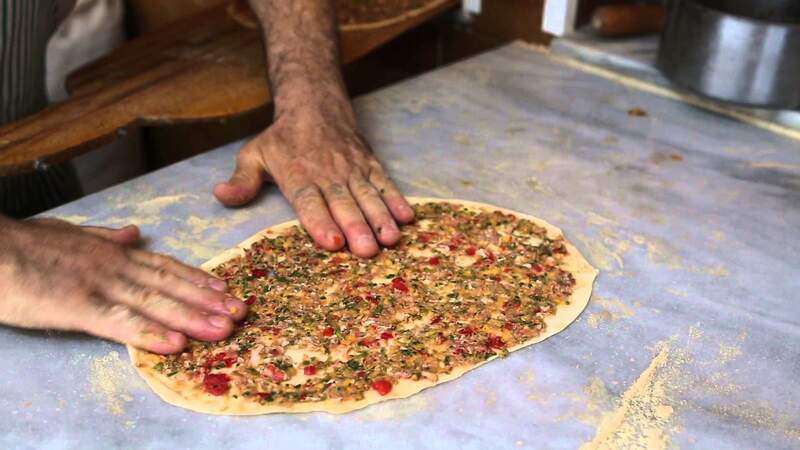 Lahmacun is made of kneaded dough to keep the dough thin. 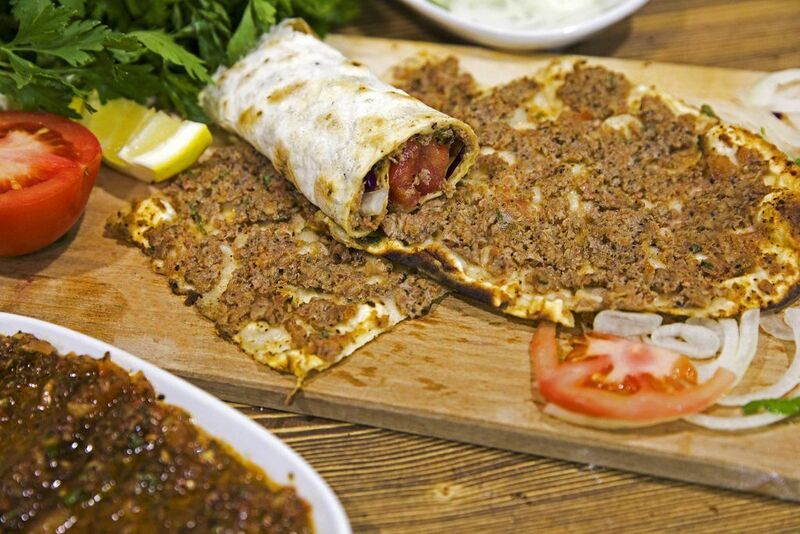 Lahmacun is a round, thin piece of dough topped with minced meat, minced vegetables, and herbs. Lahmacun originated in the east of Turkey and it’s been a favorite dish of everyone in all around the country since then. It’s a dish worth trying at least once in your life. Its size and ingredients may vary depending on the region, but below you can find a list of the Best Places to Eat Lahmacun in Istanbul. Borsam Tasfirin was founded on the Asian side of Istanbul in 1968 and you can find lahmacun and pide cooked in a wood fire here. Borsam Tasfirin is claimed to be the first shop cooking food in a wood fire on the Asian side and it already has 3 branches in Kadikoy. Its first branch at Kadikoy Fish Market offers two floors and tables outside the shop, but they are full almost every time of the day. Fresh parsley, lemon slices, pepper pickles, and sumac are always ready in a bowl on the tables at Borsam Tasfirin where you can have ezogelin soup and delicious pide choices too. No doubt, you will have your fill of lahmacun and ayran, undoubtedly the best drink that goes with lahmacun, at Borsam Tasfirin. Ciya Sofrasi is a favorite place among both domestic and foreign visitors in Kadikoy who want to try Anatolian dishes. Here, you can have different types of lahmacun. In addition to spicy, non-spicy, and onion topped lahmacun, you can find vegetarian lahmacun at Ciya Sofrasi. Apart from pide, doner and famous “Kilis Tava” (pan kebab) in Kilisli Omer Usta’s menu, lahmacun deserves trying too. 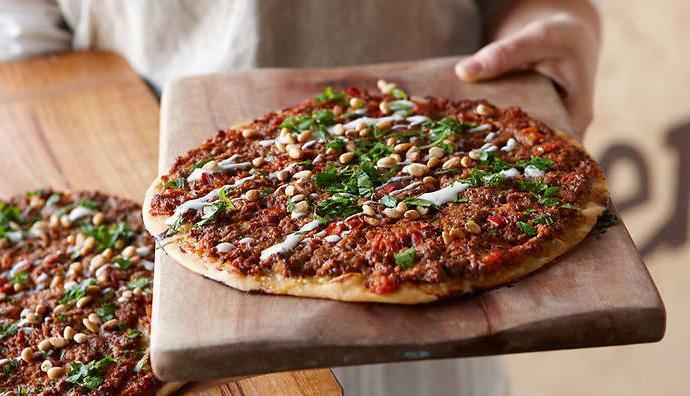 Spicy and non-spicy lahmacun are served with greens, an indispensable topping on lahmacun. Lahmacun is made of unleavened and crispy dough with minced beef and special spices and it’s not too fatty and really delicious. Kilisli Omer Usta has two branches in Atasehir. 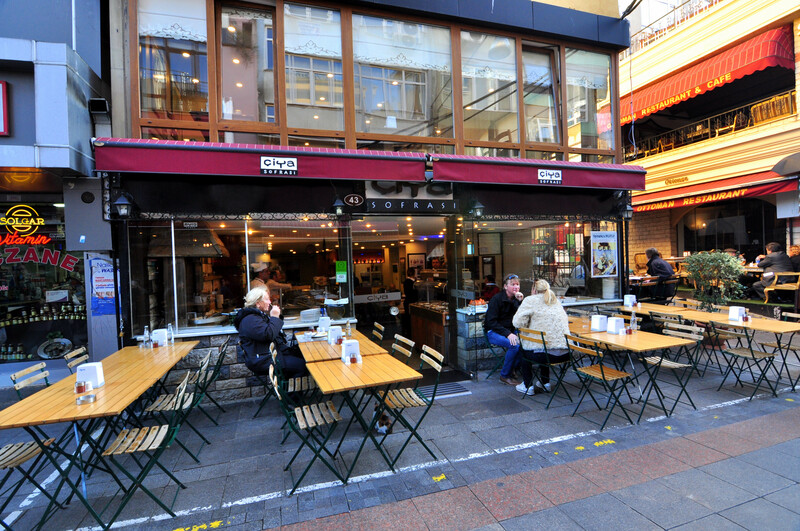 Halil Lahmacun is located on Gunes Street, the next street following Fish Market in Kadikoy. You can have spicy, non-spicy, and cheese pide at Halil Lahmacun. Moreover, Halil Lahmacun is one of the best lahmacun places in Kadikoy and lahmacun is served with parsley and lemon here. Additionally, you can have kanafeh here after your meal. The place closes at 21:00 every night. Oz Kilis Kebap ve Lahmacun Salonu offers onion and garlic “Antep Lahmacun’’ but you should try siveydiz soup (yogurt soup) before lahmacun. Siveydiz soup is made of fresh onion, fresh garlic, strained yogurt, chickpea, and lamb. This soup is in the menu until April. Oz Kilis Kebap ve Lahmacun Salonu stands out with its kebab too and you can have ayran in a copper glass while you enjoy your lahmacun here. Another great dish you should try is Kilis tavasi. Oz Kilis Kebab ve Lahmacun Salonu is located in Fatih (the Istanbul Old City). Lahmacun is as famous as kebab choices at Gaziantepli Cavusoglu Kebap & Baklava, which is located in Laleli. This shop represents Gaziantep kitchen perfectly and lahmacun is cooked in a wood fire here. After your meal, you should try amazing Gaziantep baklava at Gaziantepli Cavusoglu Kebap & Baklava. Buketist Lahmacun, located on the European side of Istanbul in Mecidiyekoy, offers Diyarbakir style lahmacun. 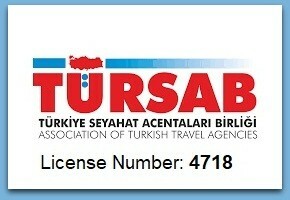 Its third branch, Buketist Branch, was opened in Mecidiyekoy after Diyarbakir and Batman branches. Lahmacun is made in the oval shape and no onion or garlic is added at Buketist Lahmacun. Additionally, pide stuffed with beef and kebab options are worth trying Buketist Lahmacun and they are served with ezme salad (spicy tomato salad), parsley, lettuce, onion, and lemon on the side. Where to Eat the Best Lahmacun in Istanbul? Develi Restaurant’s first branch was opened in 1912 in Gaziantep and its first branch in Istanbul was opened in Samatya in 1966. 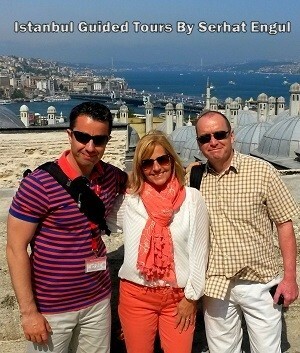 It has other branches in Etiler, Atasehir, Florya, Eminonu, and Tuzla Marina. 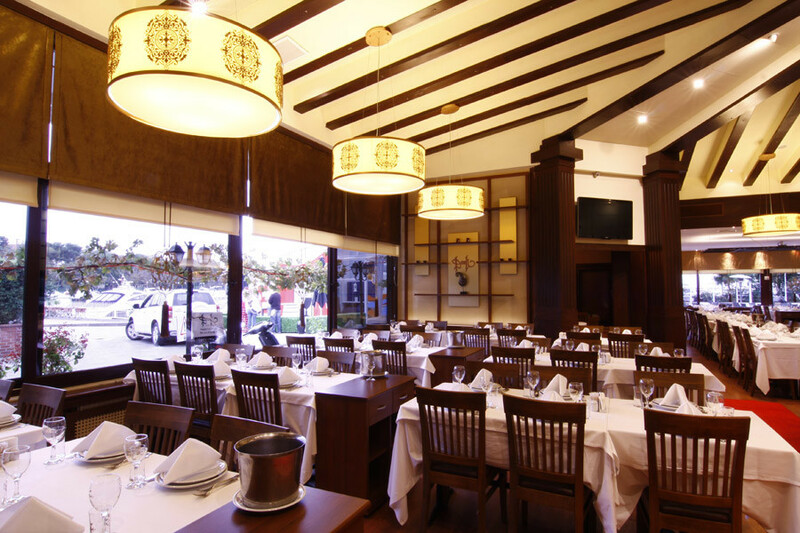 It has a rich menu in which you can try a lot of options at Develi Restaurant, be it etli cig köfte (steak tartar a la Turca), peanut kebab, or kulbasti (grilled lamb steak). If you are a lahmacun lover, you are strongly advised to try lahmacun at Develi Restaurant where you can find bas pinar lahmacun (as big as a plate), garlic lahmacun, dib roman lahmacun, and findik (petite) lahmacun. Tatbak Restaurant’s first branch was opened on Akkavak Street in 1960 and it serves its customers in a two-floor nostalgic restaurant, but it has a lot of branches in Istanbul. The most popular branch is Nisantasi branch. Its thin, crispy, mildly spicy, and vegetable stuffed lahmacun is the favorite choice at Tatbak Restaurant. And if you want to eat lahmacun, you should have their handmade and delicious ayran alongside lahmacun. Moreover, pide options are definitely worth trying at Tatbak Restaurant. Especially, roasted beef pide and kasseri pide are highly recommended. Tatbak Restaurant has been chosen as the ‘’Best Lahmacun Place in Istanbul’’ many times. Antebi Kebap & Lahmacun started its business in Arnavutkoy by selling baklava shipped daily from Gaziantep 20 years ago. However, the business grew and they opened a new branch in Acibadem where you can have three different types of lahmacun. Onion, non-onion, and tabak alti lahmacun (lahmacun that is as big as the base of a plate) are the options here. Antebi Kebap & Lahmacun offers also local delicacies such as purslane tomato salad and zahter salatasi (thyme salad). Additionally, before having your lahmacun, you can eat Gaziantep’s famous anali kizli soup (soup made of meatballs, tomato, bulgur, and chickpeas). And you are lucky if you love dessert as there are some great dessert options like carrot slice baklava, hot twisted kadayif, katmer (pistachio pancake with clotted cream), and kanafeh. Apart from its Acibadem branch, Antebi Kebap & Lahmacun has another one on the Asian side in Ciftehavuzlar.